There are three topics that you should never talk about with friends if you want to stay friends: politics, religion, and which Mission burrito is their favorite. 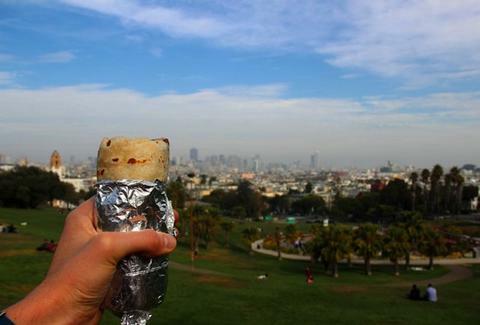 Since we've totally got enough friends right now... Warren G. Harding sucked, Buddhism is the sh*t, and here are the best burritos in The Mission. Taqueria Cancun Not just where you dared your friend to get a very explicit tattoo of a unicorn on spring break, Cancun is also the neighborhood taqueria that's open late and makes giant burritos you absolutely have to fill with al pastor. Sure, most of these spots have a version of salsa and hot sauce, but few of them are so good that they sell jars of it online. Oh, and if you really want to get crazy, try your burrito naked. What's that? That just means no tortilla? Ohhhh, okay [puts pants back on]. Just because they started in Western Addition doesn't mean this transplant isn't of Mission caliber. Note the serious salsa bar selection for all your 'rito needs, plus try the fried plantain. If the near-constant line out the door is any indication, this little hole-in-the-wall taqueria either makes burritos really slowly, or is your resident 24th St BART station gem [Editor's Note: it's the gem thing]. Opened in 1953, this spot is truly a neighborhood institution. 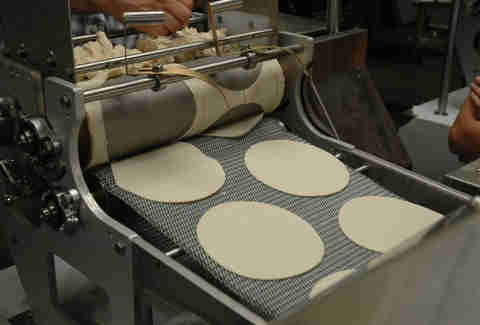 Make your burrito even awesome-er by asking 'em to use one of their handmade tortillas. Woah! Bet you didn't expect that. Sure, it's not necessarily what you'd expect when someone says 'delicious Mission burrito', but the Chicken Tikka Masala Burrito is certainly a burrito, in The Mission, and dude, sooooo delicious. Less cramped and more actual-restaurant than some of the other spots on this list, El Metate's a nice enough space that you could actually take a casual date here. No, that's a lie, you eat burritos like a monster.